An art store lines a narrow road in the village of Aiguines in the Alpes de Haute region of the Provence, France. 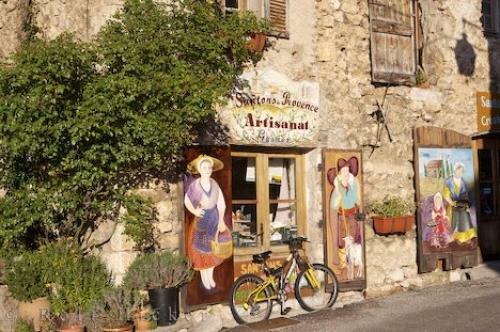 Art shop in Village of Aiguines, Alpes de Haute, Provence, France, Europe. in the Alpes de Haute, Provence, France.